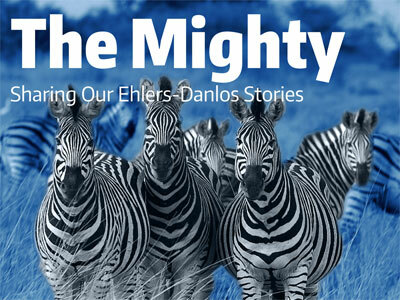 The Ehlers-Danlos Society connects patients, families, friends, and caregivers online for knowledge, support, and inspiration. This community is sponsored by The Ehlers-Danlos Society, an Inspire trusted partner. Visit the EDS Inspire Message Board for more information. The RareConnect Message Board is a safe, easy to use platform where rare disease patients, families and patient organizations can develop online communities and conversations across continents and languages. RareConnect partners with the world’s leading rare disease patient groups to offer global online communities allowing people to connect around issues which affect them while living with a rare disease. The Mighty is a new kind of community for people who want to share their strength and courage in battling chronic illness.